We have mastered HDR photography and cinematic HD videos. We are now conquering the third dimension. By adding this camera to our arsenal, we are giving our distinguished clients the refined quality their homes demand. Combined with our high quality photography and our cinematic videos, we’ll make your house will look like a million (or two) bucks. Modern technology is changing real estate at a rapid pace, and Lenihan Sotheby’s International Realty embraces any technology that we can use to sell your home faster. Our in-house Marketing Department now offers 3D scans of your home that will display online everywhere your home is listed. This system is a patented camera that captures three-dimensional images of your home’s interior space. 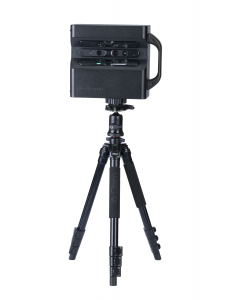 The camera is designed to rotate on a tripod to capture a full 360-degree view. This is a drastic improvement to the fish-eye lens type of virtual tours that agents have used in the past, and it will definitely enhance a buyer’s experience. We offer buyers an immersive experience that allows them to truly tour their next home without leaving their current one. It is like Google street view of inside your home – a user can walk down hallways and spin around in place, looking up and down. “Dollhouse View” is a multi-level view of the whole house, while “Floorplan View” gives the user an overhead look at the homes layout, like a blueprint filled in with photography. You really have to see it for yourself. Check out some of our models below.